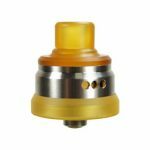 With an open build deck, the Wismec Guillotine V2 RDA can accommodate single or dual coil builds. The Guillotine V2 allows you more control over your airflow and the RDA can be completely disassembled for easy cleaning and maintenance. The installation of coils and cotton is easy thanks to the open build deck. 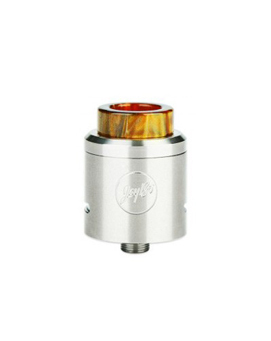 Capable of accepting a single or dual coil build, the Guillotine V2 RDA is simple to build. With a multi-functional atomizer tube the airflow can either be at the top or the bottom. You can also control the amount of airflow by simply twisting the atomizer tube.